Large, larger, largest. 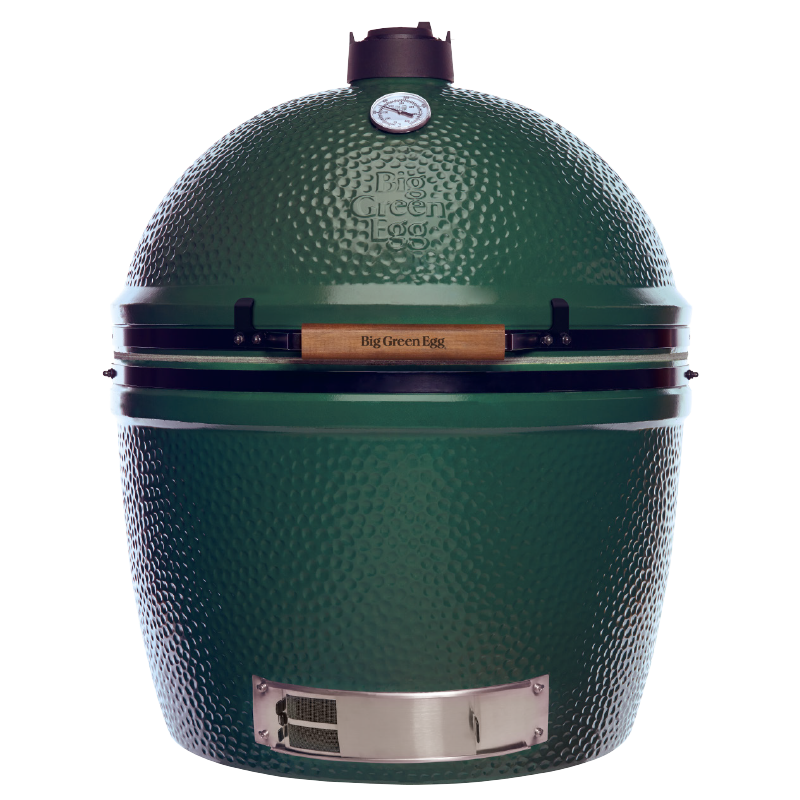 The Big Green Egg 2XL is the biggest member of the Big Green Egg family and the largest kamado available on the market. Everything about this model is impressive: its weight (170 kg), its size, its height (1 metre without EGG Nest) and its cooking area (more than 0,4 m2). The 2XL is an eye catcher in each and every way, and it delivers a performance to match. Add an EGG Nest and a Nest Handler, and the 2XL can be easily moved from one spot to another. In addition, its clever hinge mechanism makes it possible to open this EGG with ease. Just like its little brothers, using the 2XL opens up a huge range of cooking techniques, such as grilling, baking, cooking, stewing, smoking and slow-cooking. 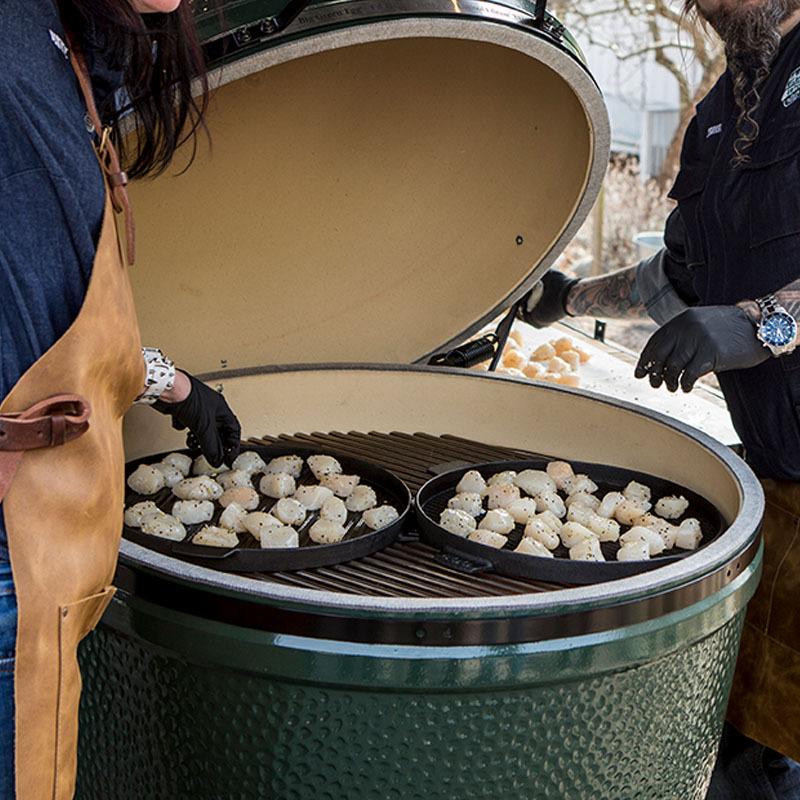 If you have a restaurant, catering business or just a large number of friends, then the Big Green Egg 2XL is the model for you. It’s generous in its size and culinary possibilities, and completely unpretentious.